Father Of Navy SEAL Killed In Yemen Raid Has Harsh Words For Trump : The Two-Way "I told them I didn't want to make a scene about it, but my conscience wouldn't let me talk to him," says William Owens of the chance to meet President Trump. Owens' son died in a raid in Yemen. Marine One, with President Trump aboard, flies with a decoy and support helicopters to Dover Air Force Base for the dignified transfer of Navy SEAL Chief Petty Officer William "Ryan" Owens, who was killed in Yemen on Jan. 29. Owens' father says he refused to meet Trump. William Owens, whose son William "Ryan" Owens became the first American to die in combat under the Trump administration, says that he refused a chance to meet President Trump and that he wants an investigation into his son's final mission — a raid in Yemen whose merits have been called into question. "I told them I didn't want to make a scene about it, but my conscience wouldn't let me talk to him," Owens said of the president in an interview with The Miami Herald. He made that decision after being told that Trump was heading from Washington to attend the transfer of Ryan Owens' remains. The Navy SEAL died on Jan. 29, in a rare ground mission in Yemen. Since then, the U.S. has acknowledged that more than 20 civilians, including women and children, were also killed in the attack, along with 14 al-Qaida militants. 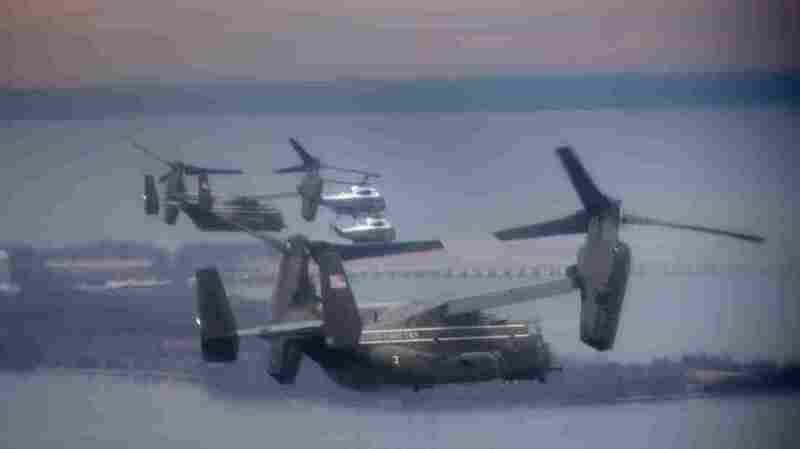 Almost immediately after the raid, questions were also raised about whether the gains of the raid were enough to offset the loss of an elite U.S. special operator and an Osprey aircraft. "But the U.S. would not send in SEAL Team Six, the premiere anti-terrorist commandos, to pick up some cellphones and computers, a U.S. official told Bowman. "Part of the effort was to get top al-Qaida in the Arabian Peninsula, or AQAP, leaders. While more than a dozen militants were killed, a top target, Qassim al-Rimi, either slipped away or was not at the location." Discussing the raid, William Owens, who is also a military veteran, told the Miami Herald, "Why at this time did there have to be this stupid mission when it wasn't even barely a week into his administration? Why? For two years prior, there were no boots on the ground in Yemen — everything was missiles and drones — because there was not a target worth one American life. Now, all of a sudden we had to make this grand display?" Saying that the U.S. owes his son an investigation, Owens criticized Trump for using a combat death to attack those who are calling for an inquiry. "Don't hide behind my son's death to prevent an investigation," he said. Days after the raid, the White House said that while Trump had authorized the operation, it had been planned under the Obama administration months ago, with the goal of gathering information. But military officials later said the raid's site was one of several that were identified back in November as ones to consider. At a press briefing on Monday afternoon, White House press secretary Sean Spicer responded to a question about Owens' concerns by saying it is "standard operating procedure" for the Department of Defense to review incidents like this. There will be three reviews, he said — one for the loss of civilian life, one for Owens' death and one for the helicopter. He expressed condolences over Owens' death and reiterated the administration's claim that the mission "achieved its objectives" and "was successful in helping prevent a future attack or attacks on this nation." "We're very comfortable with how the mission was executed and we'll let the Department of Defense go through that review process and then see where that leads us," Spicer said. "But I think to get ahead of the three separate reviews ... would probably be a little irresponsible at this time." Trump was also criticized after it was reported that he made the decision to carry out the raid while he was having dinner with his advisers, rather than in the White House's Situation Room. Yemen has condemned the attack, with its military saying that one of the men who was killed had actually been working for it, as NPR reported.